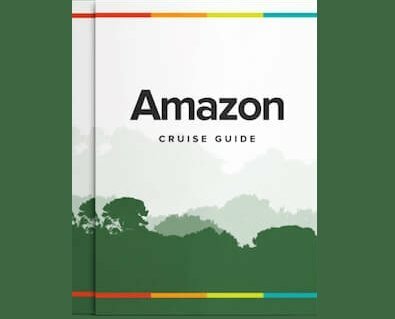 The Amazon Clipper Premium is a superior class Amazon River cruise, offering 3 to 6 Day itineraries cruising the Amazon River in Brazil. Read what our happy customer had to say about this cruise. Our trip on the Amazon Premium Clipper was fabulous! Truly. I especially loved our early morning and late night canoe rides down little tributaries– felt like a real adventurer. We had plenty of animal sightings too: three-toed sloths, toucans, snakes, lizards... and the monkey "attack," when a band of monkeys invaded our canoe, running wildly from one end to the other, hopping on our shoulders and heads! It was wild! The boat's guides and crew were fabulous too--they couldn't have been nicer or more helpful. All of us (the guides and fellow passengers) had great camaraderie, meeting on deck every evening for a gin & tonic, swapping stories about the day's adventures. Oh, and the food! I loved that it all came from the Amazonian region. Was very cool experiencing so many new tastes and smells. I'm so happy that we booked with Rainforest Cruises. The trip was perfect, as was your customer service! Thanks for answering all of my myriad questions so patiently and in such a timely manner, Matt. Much appreciated.